We've had the pleasure of assisting many people buy or sell their homes over the years. Some clients so kind that they write testimonials about their experiences, and we have appreciated and motivate us to continuously provide the first class services to our client. We've posted them on our site to help inform future clients. Read on to see what our clients are saying about us! We are amongst the ones of his early customers when he became a property agent. We found him very attentive to details, always think for his clients to get good deals and other accessories when buying new homes, provided good market information for comparison and above all, gives very good suggestions on buy/not buy, documents review and follow up after the sale. Overall, we appreciate very much and benefited from the help from Lotus. I would recommend him to anyone who wants to buy/sell properties. Thanks Lotus for all of the hard work and dedication devoted in helping me on purchasing a condo. Your expert advice, quick response, and follow through on my queries has made the purchasing enjoyable. I highly recommend him as your real estate agent. We are very pleased to have Lotus as our agent. He understands our requirements, and actively identifies apartments that meet our needs. He also offers professional and unbiased advice on the properties, and has been very patient in going through all the legal documents to ensure that we know what our commitment might entail. He also follows through with any questions that we have. In short, he’s a great help and a great friend! Finding the most suitable home in Great Vancouver is a hell of a task. And to get that done in space of 2 weeks is more like a mission impossible! But we just achieved that, solely because of the outstanding professional help and support we received from our agent Lotus! Due to a special circumstance, we only had a time space of 3-4 weeks to find the most suitable home and move in. We ourselves were not at all sure that we could make it. However, it is Lotus’ dedication, hardwork and loyalty that finally brought a very happy ending to our home-finding project, not to mention the many helps and favours we get from Lotus to overcome the difficulties we face as new immigrants. 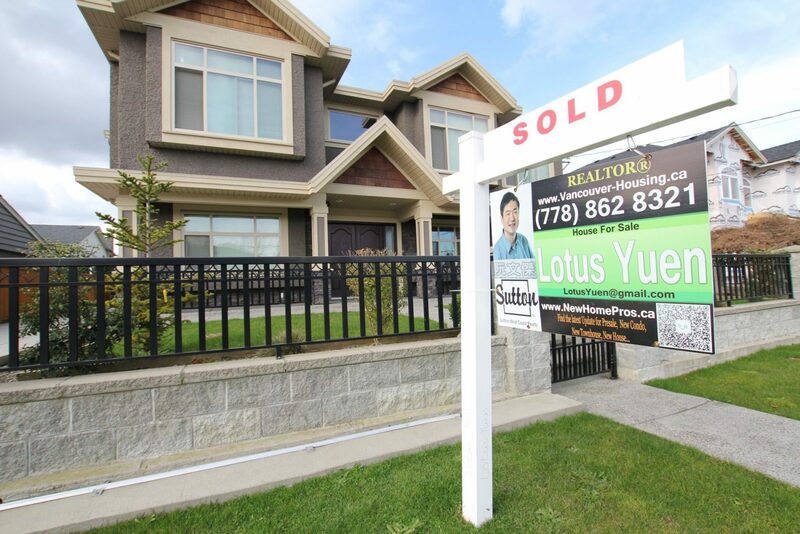 To me and my family, Lotus is not only a reliable agent but also a great friend! This letter is to show our appreciation for the successful sale of our home. We had tried to sell before with another realtor, but not successful. Lotus Yuen presented himself in a professional calm manner, most knowledgeable and considerate of our needs. He has also provided value-added services to showcase our home in a professional aspect including home staging service, professional photographs and video, custom color brochure, market analysis, and newspaper/online marketing. Thank you for your hard work, dedication and guidance through the negotiations. Sincerely we wish you all the success in the future. We are pleased to recommend Lotus Yuen without hesitation. It has been a pleasure to do business with Lotus Yuen. It has been nothing but a positive experience. Lotus Yuen is knowledgeable, experienced, and understands our needs. He promptly answers our queries in a professional manner. He helps us make a smooth transition to the new home and addresses all our concerns and issues with the Seller. I appreciate all that Lotus Yuen has done for us and look forward to being in our new home!